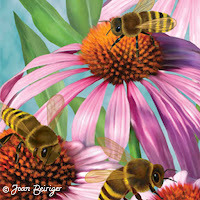 Joan Beiriger's Blog: Art Licensing: Should you sell art on POD stores? I love how you condense things in a logical and informative form for us, Joan. Thanks. Thanks for your post, Joan. Many of us have probably considered POD at some time or another, and it's good to have this practical information. Much appreciated. Thanks Joan for this insightful article. I for one don't think POD stores help an artists image. It's almost like ,,,hmmmm I can't get a manufacturuer to license my art, oh well I'll just make believe and do it myself and maybe they will see how great my art looks. I think it actually can be very detrimental to an artists image. If I were a manufacturer, I would not license this artists art if anyone could go on Zazzle and order it there also.This just does not make sense to me. There is no way to ruin a license quicker than to place it where it does not belong. Placemment to me is the key to having a successful license. I am a fine artist, but have worked in and around licensing from the late 80's and have seen many artists fail because of improper, not well thought out placement. It is key! I would beware of these PODS, ANYONE with zero talent could be right next to you, choose your neighbors wisely, it speaks volumes about your work. My presence on POD sites has actually brought me art licensing deals, I haven't had to work for anyone other than my own company for the past 8 years thanks to the opportunities POD sites have brought to me, so the notion that selling on a POD ruins your chances at licensing, or that putting your art on POD products is nothing more than "make believe" is highly offensive and simply not true. Yes your work may be seen next to designs from lesser talent, but just as the color red demands dramatic attention when placed amid black and gray, so too will the talented draw the attention they've earned regardless of where they stand, or who stands beside them. Great article Joan. I've been on zazzle for several years and agree with your assessment. I joined the minute I found out I could design sneakers with my art - what a thrill! Unfortunately they have stopped making keds - evidently they're changing the manufacturer but the new option has been delayed. Anyway, my other points - all of the products I've had made by zazzle have been really high quality, and their customer service is great. Thanks for this overview of POD. I have not sold on PODs or opened a shop officially. From a buyer's standpoint I found Redbubble to have the best quality. Their branding is unobtrusive. What do you think of Fine Art America? Everything I know about PODs is from the research I've done and not practical knowledge. But I've read many posts and they gave thumbs up for both Redbubble and Fine Art America for the quality of the product. As for the amount of revenue earned, I think it is in the ball park of $25 to $100 per month as reported by those on other POD sites. I'd like to echo the comments of both Patsy and Moira. This article is really useful. Thank you Joan. Awesome Joan! Thanks so much for the info. Etsy has actually just this month (October) revised their policy about what items people can sell on there & how they are manufactured. They are now allowing artists such as myself to sell my prints manufactured by another company. Vigilant "brand management" is required to protect and maintain the value of your art. Placing your work on a POD site immediately subjects your brand to corrosion, theft and commoditization. Having/showing your work placed amongst inferior art does MORE damage to your brand than you can repair! PLACEMENT is EVERYTHING. If customers see your work at the "Dollar Store" they are not going to buy your work at Nordstrom. I would love your thoughts on Spoonflower's POD. I know artists that have ordered fabric with their designs on it for their own use. They seem to like the quality of the printing and fabric. However, they expressed doubts that if they tried selling their designs on Spoonflower store that they would have many customers because the fabric is pricey. I haven't heard anything about how good a POD it is - whether it is easy to upload designs to the site and if the cost in having a store with them is fair. At this point Spoonflower is the only POD site I know of where you can offer your designs for sale as fabric. Or even if there are others, Spoonflower is by far the best known. Joan mentioned the high price, and she's right that it is quite expensive for people to order your fabric - and spoonflower pays you a set 10% of the sale price. The same concerns people are expressing in other comments here about PODs would also apply to Spoonflower. Spoonflower does not charge a regular fee to sell your fabric there - They simply pay you 10% when it sells. Also, my fabric being visible there brought me a licensing deal with Marks Work Wearhouse. Kimberly, Marks Work Wearhouse is a major company in Canada (marks.com). They approached me with interest in some of my fabric designs after seeing them on Spoonflower's website. Scrubs made from KiniArt fabrics were sold in stores throughout Canada and through their website. They were kind enough to include my Designer name (KiniArt) in the printed promo advertisements throughout Canada. That was not anything I had included as a demand in the license so it was a nice surprise. Thank you for all the research you did for this article, Joan, and thanks to all who offered their experiences, opinions and advice. 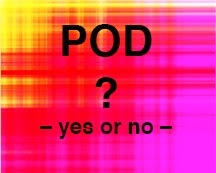 You've presented a good overview which is helpful to anyone contemplating joining POD sites. Interesting topic. I'm an illustrator as well as a fine artist, and if anything, my web presence on POD sites has helped my art career. In fact, a woman contacted me about two years ago after seeing a product of mine that featured an animal her boss loved. When I told her the original painting was available, she was thrilled and bought it for her boss's 50th birthday. Shortly after the party, the boss contacted me directly and bought the rest of my paintings featuring the animal. I sold all four paintings which never would have happened if I wasn't found by my POD products. The POD income is just a small amount compared to my paintings, which actually do sell. I feel like I'm creating in the best of both worlds. That is absolutely great Laura that having a store on a POD site works for you! Another fine art artist posted on LinkedIn Licensing Commercial Art group that she has been successful in selling prints on Fine Art America POD site and even received some licensing deals through it. It goes to show that what doesn't work for some artists works for others. Obviously, selling art prints on a POD site does not deter a manufacturer from licensing artists work. I'm not sure that is also true for other products. This was a timely piece in my inbox this morning! I've been trying to build a marketable portfolio and looking for some sources of income. I noticed the inquiry above about Spoonflower. I print designs for personal use using Spoonflower and have a Spoonflower "shop" which I recently started. I find the quality of the fabric very good and the prices for digital printing compare well to other digital fabric printers. Generally, I'm enthusiastic about it as a "community", and a service and a very tangible way to improve my design skills. I like having the opportunity to sell, but honestly don't expect sales from it. I have seen people selling their Spoonflower produced fabric on Etsy, after having volume printed it (yardage discount), but I would imagine the profit margin to be small. Excellent article Joan. At one time POD was "under consideration". One career coach suggested Etsy as a way to get my art sold and possibly become noticed or build a reputation as an artist. I just didn't feel warm and cozy about the idea and continue to build a licensing portfolio specifically for manufacturers who buy art. I would rather focus on marketing to the licensing industry rather than try POD at this time. My "other income" comes from graphic design services and teaching art classes in a local shop. I really appreciate your insight on "POD's" Thank you Joan. Thank you Joan for your helpful information. thanks for this post. I'm new in licensing and l really like understanding how it works experimenting one of this POD stores as well. I suppose I have to experiment first of all. I use it as a window for manufacturers who could be pleased considering they would be better in quality, services and prices using my patterns on their products. If I am wrong, no problem I gave it a try and I know that there are other ways to make deals. Contacting manufacturers is really time consuming but important so I would be curious to hear what manufacturers think about this POD stores. Good article, interesting comments! I have used a POD and found it beneficial. In networking with other artists, I've met some who are very business savvy, both online and off. There are very few marketing models that should be dismissed out of hand as 'bad.' What works for one may not work for another. On a POD it doesn't work to just slap images of artwork on products with no thought to appropriateness, or to technical considerations. E.g. on tee shirts the art should be simpler, bolder, and brighter, or it may not look well on fabric. The POD I am a member of does a good job of approximating how art looks on tees, so you can adjust it if necessary. I've been very happy with my art tees, and when I wear one, I get inquiries and give the person a card. There are ways to do PODs right, and ways to do them wrong, just like with any avenue including galleries or licensing, etc. One of the most successful POD artists I know also licenses her work. She knows how to use both these outlets for making money. Regardless what you do, it all takes a lot of time and effort on marketing. The sites don't do your marketing. I'm glad you mentioned the copyright infringement problem. PODs typically don't have very good image protection, it's too easy to bypass. The large supply of images attracts people who prefer to steal rather than create their own work or ask permission and pay an artist. The same could be said about art sites, art blogs, etc, but there is a difference--on those sites you can permanently watermark your images before uploading them which deters most infringers. On PODS however, you have to upload an unmarked image so the reprints and products don't have your name across the middle. The POD sites' "watermarks" etc, are super easy to bypass so they are of little protection and the images get stolen A LOT. Also, some PODs have a lot of members who infringe, too, usually pop culture fans infringing on Disney etc. This reflects badly on real artists on the same site. I hope that sites figure out a way to address those problems, so I can go back to using the POD I'm on, more again. I was willing to give up the income from selling reprints, to stem the majority of infringements, but I REALLY miss the promotional aspect of it. Selling affordable products on a POD had led to a lot more sales of originals, etc, too, and I've had to try and think of a way to still market myself online without being a target for infringers. Some tech savvy artists I know have acknowledged that recent changes to the net have made them rethink online marketing too. Pinterest and clones, and now the search engine's easily copied large views, have all taken more traffic than they've driven to us, and enabled infringement like never before. PODs are a target for it and will continue to be unless they employ better image protection tactics. What strikes me is that there are as many approaches as there are artists to think of them. I've found that PODs (I'm on Society6 now but I've tried several) do require a ton of effort with not much return. Now, I occasionally post new items, but mostly I'm content to let the few dollars the site earns come in with as little effort as possible from me.